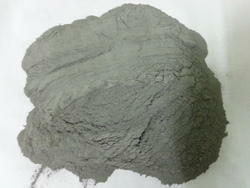 We can trading Zinc Dross and Zinc Ash in bulk quantity. Owing to years of industrial experience and deep knowledge, we have been able to provide our customers high grade Zinc Ash. It is widely used as an additive in large number of material and products including plastic, ceramic, glass, rubber, lubricant, cement, ointment, adhesive, paint, sealant, pigment, batteries, fire retardants, and first-aid tapes. This precisely processed chemical is made obtainable in several tamper proof packaging options in adherence with the specific requirements of customers. This zinc ash is processed using optimum grade chemical compounds and leading technology in tandem with the industry quality standards.